As renters, we know it’s hard to spend a lot of time decorating a place just to move out a short time later. Imagine going through an entire redecoration process only to move into another place where none of the new stuff you bought matches. You might think, “Forget it, why bother, we’re only living here short-term.” It’s easy to feel defeated with Crate & Barrel taste on a short-term rental budget. Sure, you’re only staying short-term, but that doesn’t mean you can’t enjoy yourself while you’re there. There are ways to make a lovely living situation without going all out. 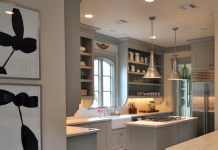 There are two key components in having a cozy home without the commitment: cheap and easy. There’s no need to go above and beyond and paint the entire house or rip out flooring. Instead, opt for ideas that’ll make the time you spend at the rental easygoing, but still comfortable. Here’s how to decorate your short-term rental for cheap. There’s no good budget-friendly interior design advice article that doesn’t mention IKEA. IKEA is the budgeters closest ally. When someone walks into your home, the first thing they notice is the couch. That is, if the living room is the first place they see, which it usually is. The couch will make or break a room, so make sure you get something classy. However, don’t bother spending a lot if it’s a short-term rental. 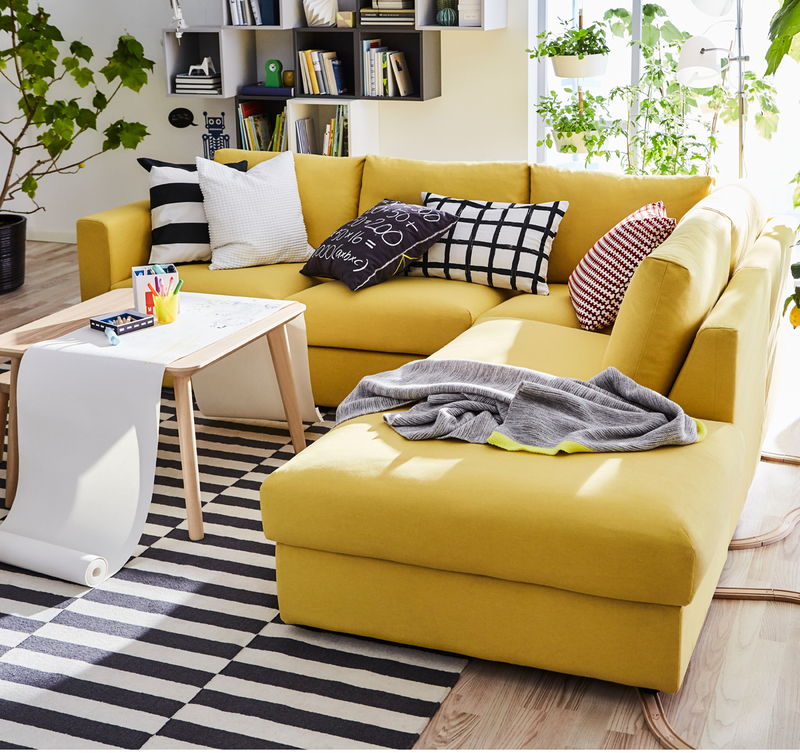 IKEA (offering promo codes here and here) has great options for short-term leases. For under 600 bucks, you can pick up the VIMLE couch and add a splash of sophistication to any apartment. Doesn’t this couch look like it costs a lot? Sure, you may be stuck in a white-walled apartment and boring rug, but at least you can make the most important part of your living room look nice. Add elegance to your short-term rental by using nature! 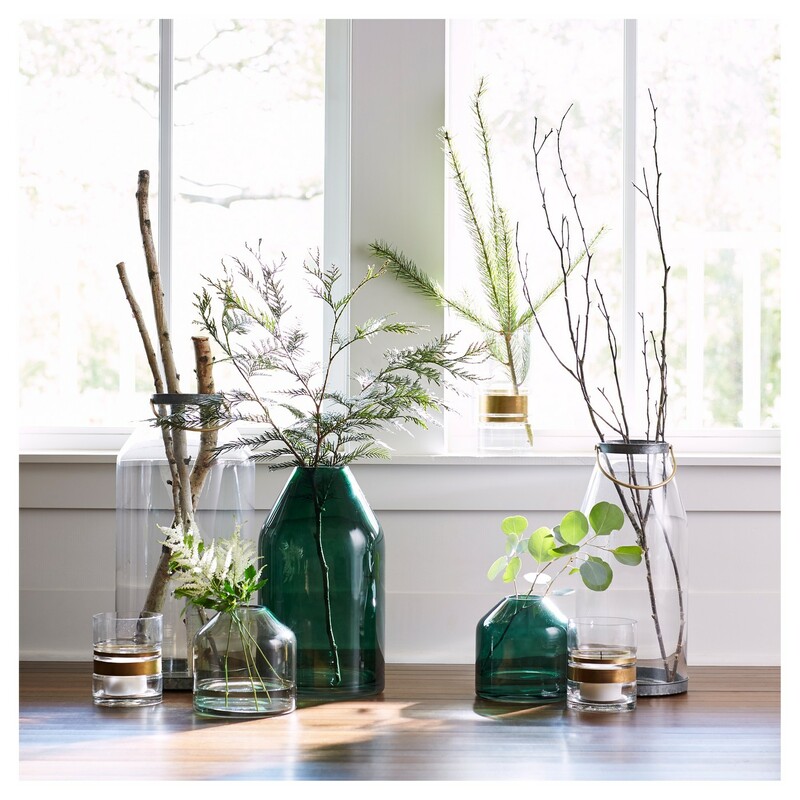 The Heart & Hand collection at Target (codes here and here) encourages bringing “outside in” and decorating with simple pieces. 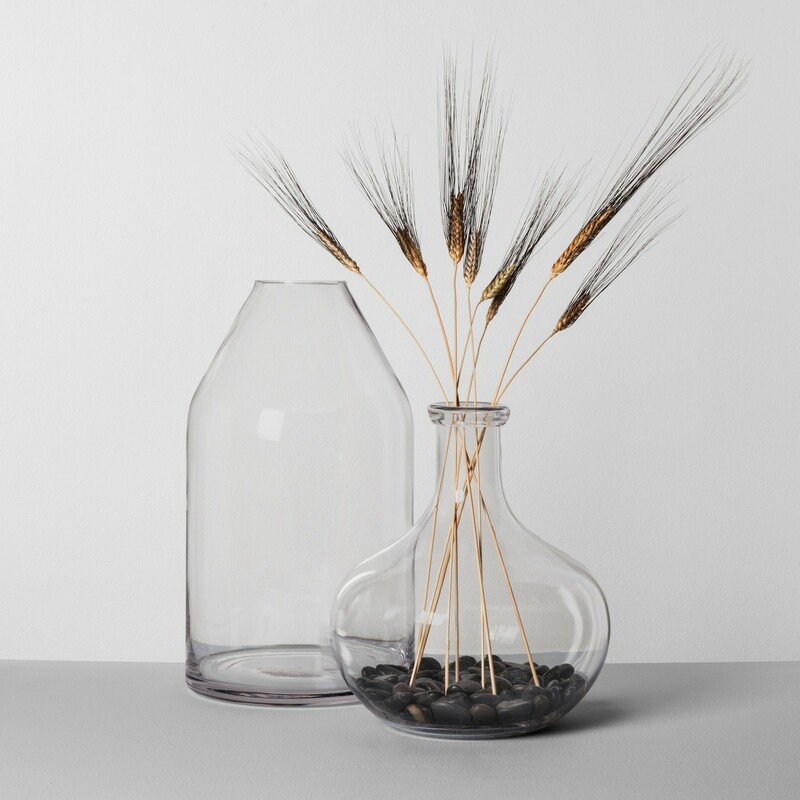 Place plain glass vases on the dining table and stick a few branches or flowers in them. This touch will make it much more homey. It’s amazing what a little greenery or floral elements can do to an otherwise drab interior. You can also add pebbles to the bottom like in the image below. Simplicity will be the best word to remember when trying to figure out how to decorate your short-term rental for cheap. Painting a short-term rental is not happening. 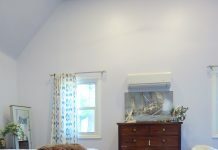 The task of painting is so exhausting, it’s hard to imagine even painting a long-term rental. This is where some good wall decals could work. 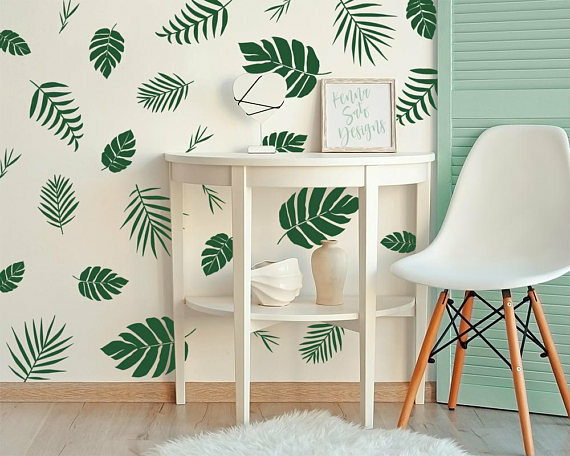 Just look at what these palm leaves do for this plain white wall! Etsy (codes here & here) is the best place for wall decals. They have the most options and probably the cutest choices. Plus, they’re relatively cheap. Instead of painting, you could go for a wall decal. If you don’t even want to go through the hassle of that, just hang something up. Get a cheap, yet cute piece of art you can hang up and have it cover most of a wall in your living room or bedroom. 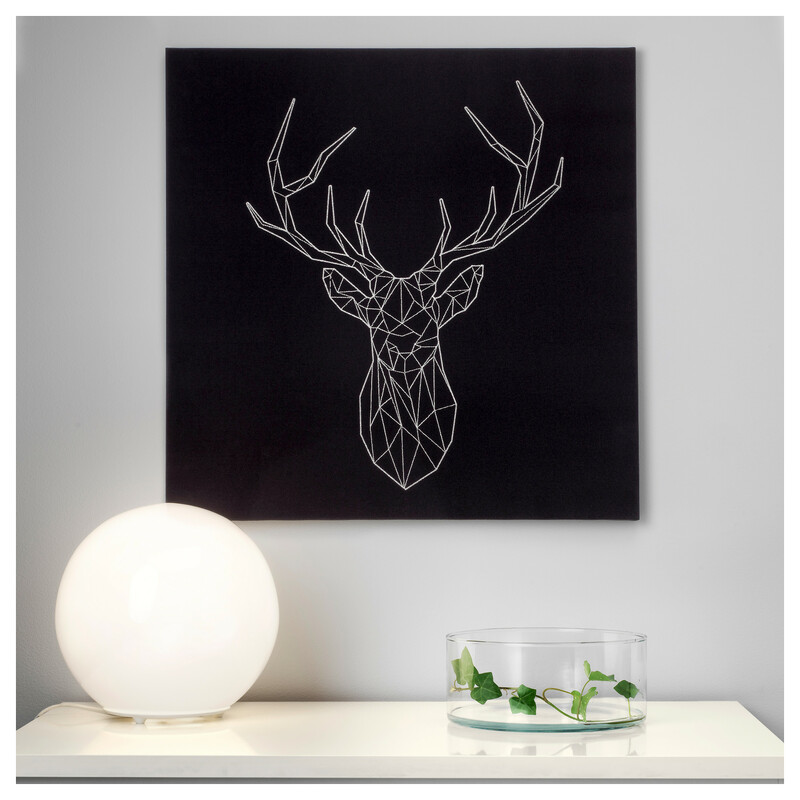 Bringing it back to IKEA, they have a good amount of inexpensive pieces of art that you can easily hang on your wall. 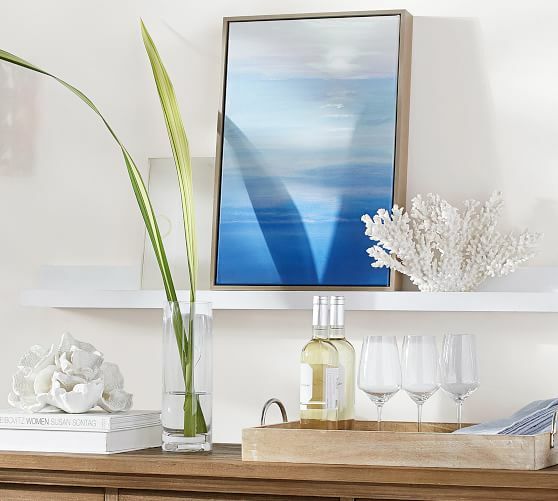 A nice statement art piece can add a relaxed mood to your home for your guests or for yourself during a night in. The focus is creating a place of serenity for yourself in your short-term rental. You won’t need to add much to your home once you let a calming, pleasant looking piece of art do the talking. Visit a local estate sale, pop into Goodwill, or check out your nearest flea market and see if you can find the perfect vintage lamp. A good, single vintage lamp in the living room can add some unique personality to a home. You can also usually sell vintage items for the same price you purchased them for if you decide you don’t want to take it with you when you move out of your short-term rental. Let it bring you joy in the meantime. 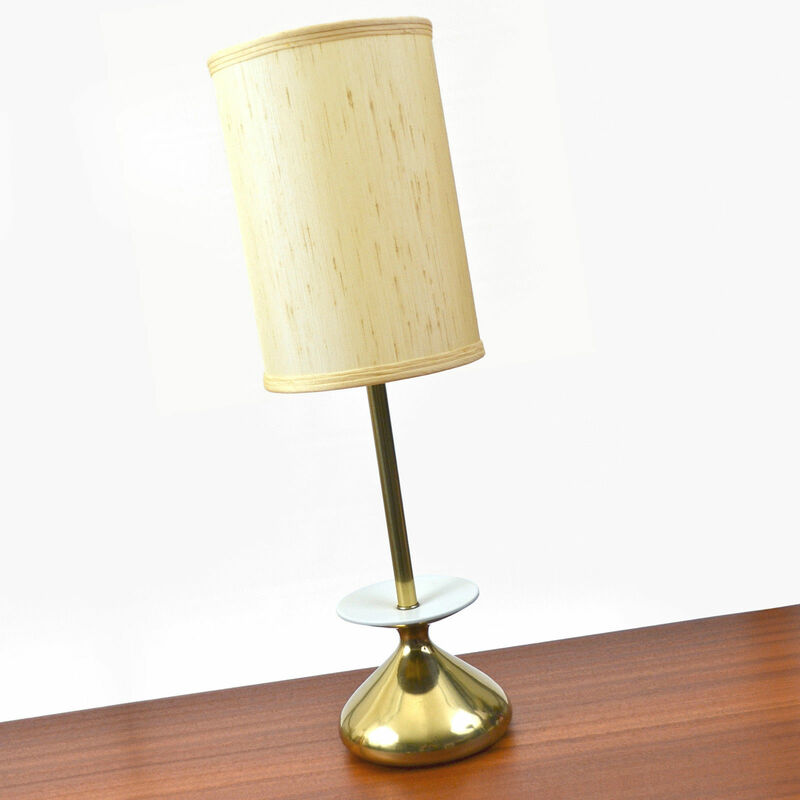 Auction sites are a good place to snag antique lamps at a good range of prices. Just check out this one that’s going for $124 on eBay (codes here and here). 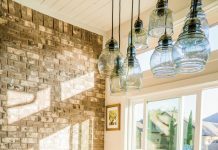 An antique lamp will polish the look of your short-term rental by keeping it unique to you. Decorating cheaply requires buying a lot of stuff that may be commonly seen in other homes, so grabbing a vintage piece will keep your interior design one-of-a-kind. Using seashells to decorate cheaply has been a tactic for short-term renters for decades. It’s a timeless way to brighten up a home without spending nearly anything. Honestly, if you live near the water, you could do it for free! At Bed Bath & Beyond (coupon codes here and here) you can buy a bag for under 10 bucks and go to town placing them everywhere. 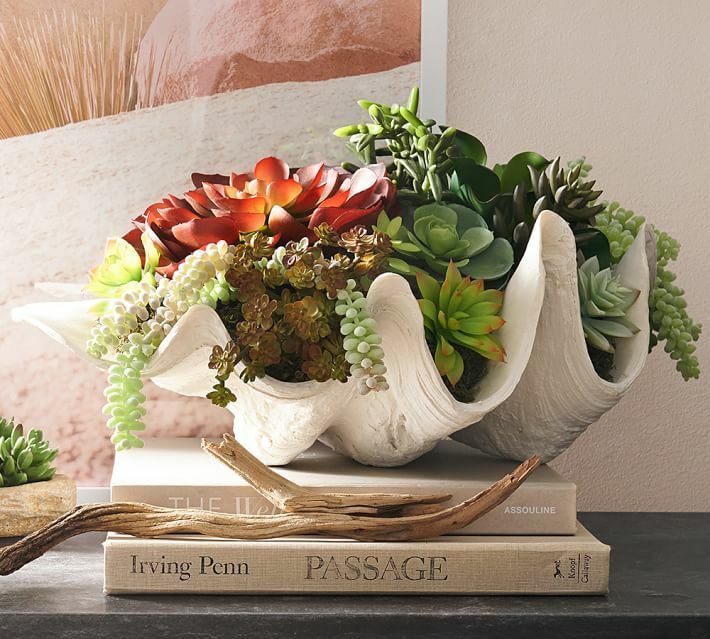 Buy larger sized shells from Pottery Barn to complete the look (coupon codes here and here). 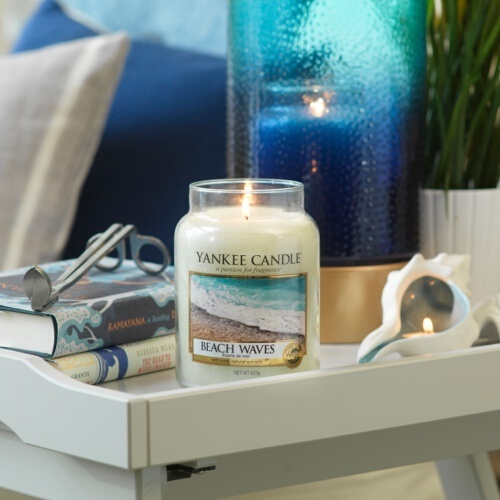 Add a beachy Yankee candle (promo codes here, here) and you’ll be absolutely set! It doesn’t take much to create a tranquil atmosphere in your short-term rental. What better way to decorate than to use your favorite photos of loved ones? Grab some cheap frames from Michaels (coupons here and here) and place memories in them to look at whenever you’re home. 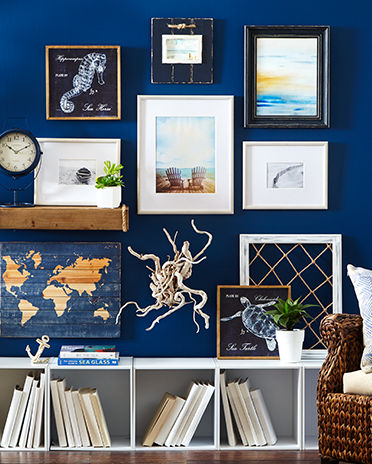 Create a collage of photos with mismatched frames for a rustic and eclectic feel. Even if it’s short-term, your time wherever you are should be enjoyed. Hopefully this how-to guide helped in fixing up your rental and gave you some tips on cheap yet pleasant interior decorating. Thanks to Summer Siguenza for partnering with us on this post. Previous articleLast day to enter Lato scratching post giveaway by Tuft + Paw!